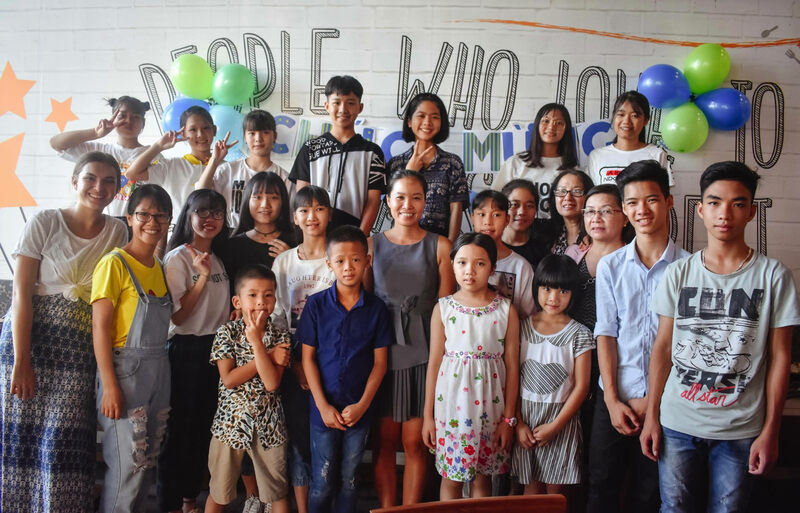 Background: Orphan’s Promise provides monthly support to care for the 20 orphans and vulnerable children living at the Promise House in DaNang, Vietnam. Time flies! It has been 8 years since Huyen first came to Promise House. This loving home is fantastic. It’s like Archimedes says “give me a lever long enough and a fulcrum on which to place it, I shall move the world.” Huyen may not be able to literally move mountains, but she has made people around her so proud because of her outstanding learning ability, her constant hard work, and her beautiful drawing talent. 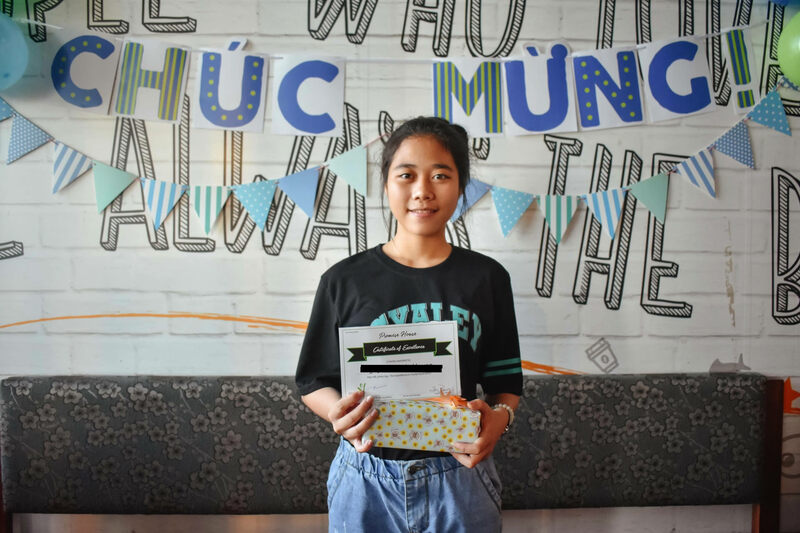 Huyen used to be very sad because her Mom told her that she might stop her studies at grade 9 due to the family’s desperate poverty. However, God loves Huyen so much that He brought her into a place that she can shine: Promise House! She recently graduated from secondary school with very high scores. She got 55 scores over 6 subjects. Of all the 5 children at Promise House who took part in the exams, she got the best results. She can enter Hoang Hoa Tham high school next September. It’s one of the best high schools in Da Nang. 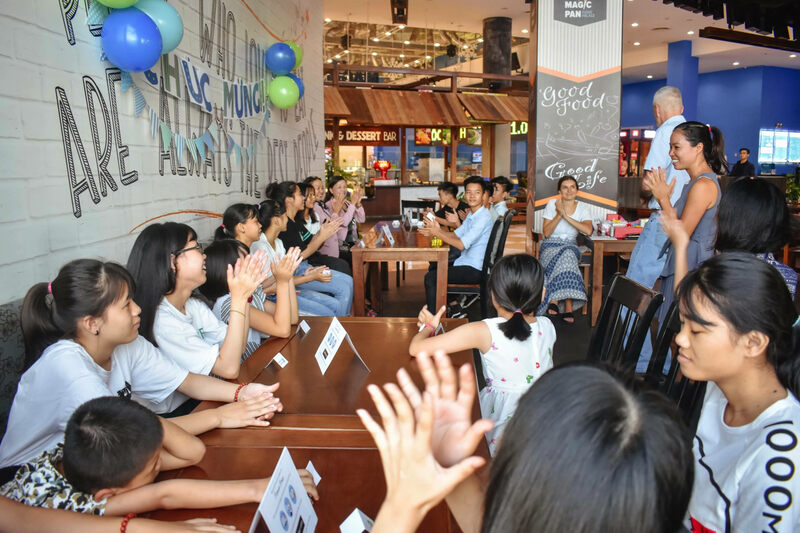 Huyen recently gathered with all of the other children from Promise House to celebrate her tremendous success. It was a special day! Huyen smiles with the imagination of her wearing the elegant Vietnamese traditional dress at her high school. It will be a fantastic feeling. Huyen feels satisfied with her hard work. She will walk into her new school with confidence and pride. Huyen may not be a very tall girl, but she is certainly someone that all the children of Promise House look up to! Huyen has a place to live, to grow, to be loved and to love because of Orphan’s Promise. The trajectory of her life, without Promise House and Orphan’s Promise, would be entirely different. Orphan’s Promise changes lives. give the gift of a future!